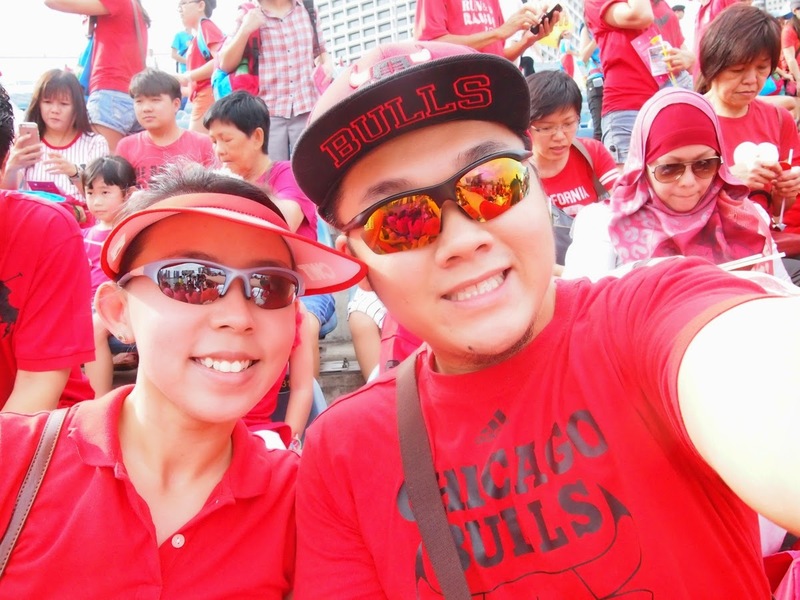 NDP 2014 - Happy 49th Birthday Singapore ~ Smithankyou - Lifestyle and Travel Photo Blog. 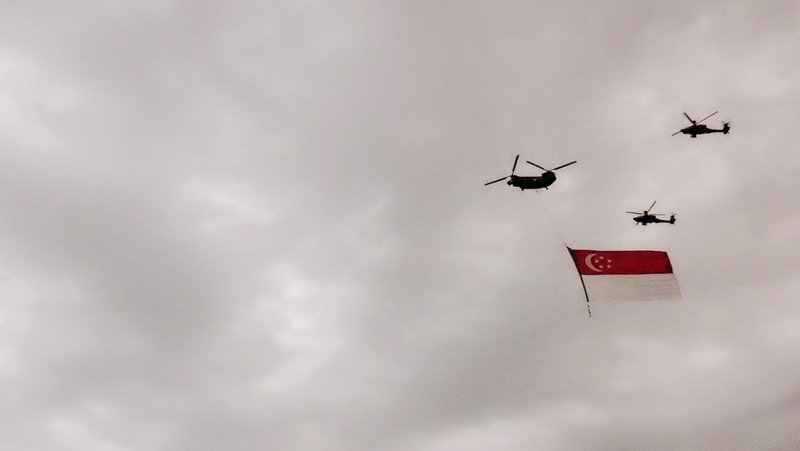 I am proud to say that I was at the last National Day that happened at the floating platform yesterday. In fact this is my first actual day visit to the NDP. 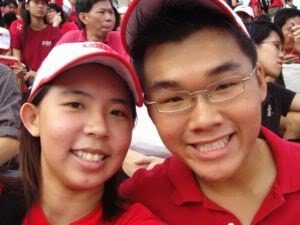 I was part of the last NDP at Kallang Stadium in 2006. Don't judge that was during army. Photo quality also chui. 2006 NDP was a very special NDP for me. I was in the army and I was part of the marching contingent but I was the substitute guy. You know how army boys like to "chu pattern"(slack) especially on a weekend. So because of that I was actually at the rehearsal more often than some of them. 30 men and each rotate to take MC every week. You do the math. 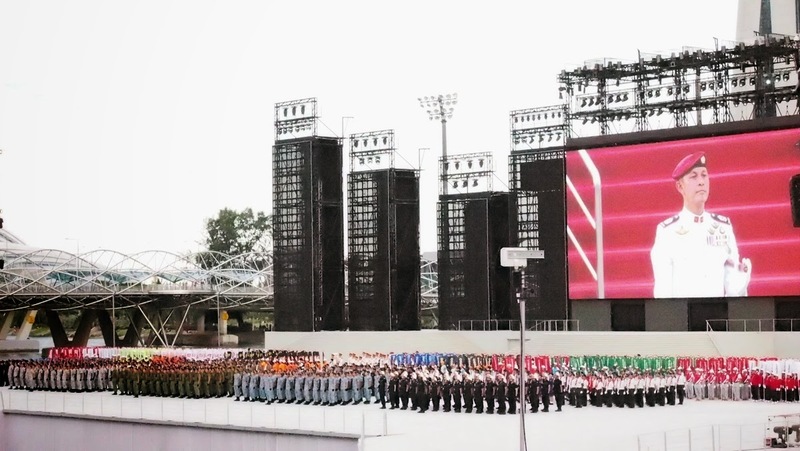 So I was part of the marching guys during the rehearsal, I was watching it LIVE! at the stadium on 2nd August - the final rehearsal because they gave me the tickets and I was watching it from home on the 9th of August itself. I was every where for that NDP! 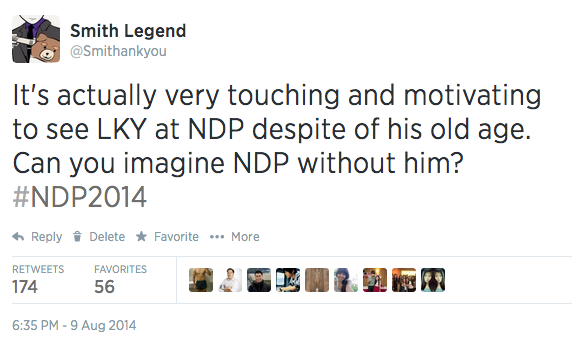 Watching the NDP might be entertainment to some but to someone like me it is actually like a memory. It touches my heart every time. I am not too sure if I am exactly patriotic or simply just nostalgia but the parade never fails to make me feel all emotional. The red lions and the giant flag fly pass is always one of those segments I really really like. To be honest, I am not exactly a fan of the performance after the marching parade but this year's performance was very good. The whole based on real people story telling got my heart. It's really very touching. And of course the presence of Mr. LKY. I wouldn't say I am the biggest fan of what's happening in Singapore these days (political scene and money paying scene wise) but we still can't deny the fact of what he did for us to bring us to where we are today. 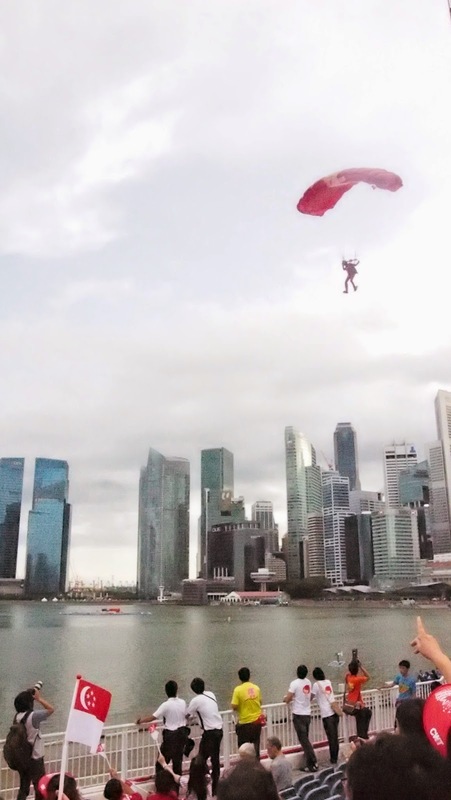 He has given his whole life to Singapore. Be it like rumour has it that he do things for himself but it is undeniable that Singapore is now a better place than where we were 49 years ago. Sad to say but we can't say the same for our neighbour(s). My small moment of "fame". 174 RTs and 56 Favorites. 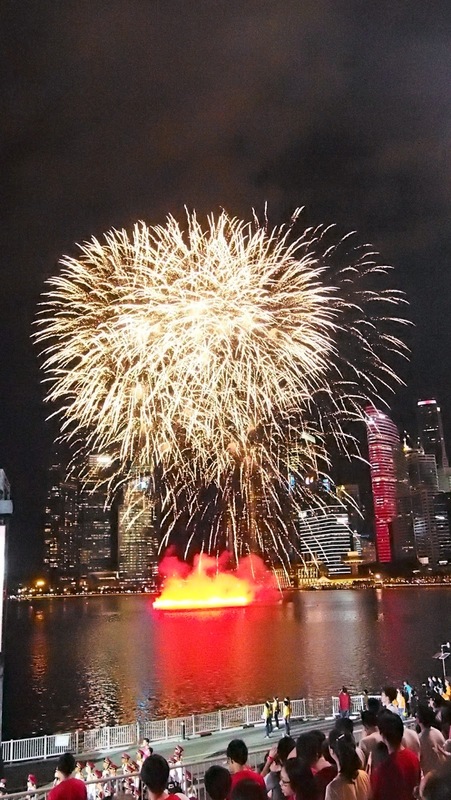 Thank you Singapore. Still not very good with the camera. This is like the most presentable one already. I love fireworks. It's not something we get to see everyday and I really hate people who goes on twitter ranting about how the government is wasting his taxes. Comon, the taxes you pay is not even enough for this to go on for a second. Stop being sour and enjoy this moment. The celebration of a country as one. I seriously do not get why some people are so negative about everything.